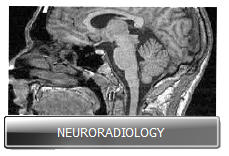 Radiology, is a medical specialty that employs the use of imaging to both diagnose and treat disease visualized within the human body. 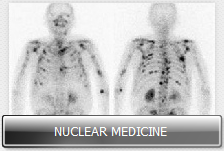 Radiologists use an array of imaging technologies (such as X-ray radiography, ultrasound, computed tomography (CT), nuclear medicine, positron emission tomography (PET) and magnetic resonance imaging (MRI) to diagnose or treat diseases. Interventional radiology is the performance of (usually minimally invasive) medical procedures with the guidance of imaging technologies. 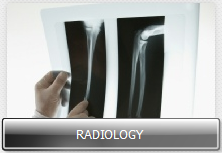 The acquisition of medical imaging is usually carried out by the radiographer or radiologic technologist. Radiographs (or roentgenographs, named after the discoverer of X-rays, Wilhelm Conrad Röntgen) are produced by transmitting X-rays through a patient. A capture device then converts them into visible light, which then forms an image for review and diagnosis. The original, and still common, imaging procedure uses silver-impregnated films. In film-screen radiography, an X-ray tube generates a beam of X-rays which is aimed at the patient. The X-rays that pass through the patient are filtered by placing a device called X-ray filter, made of aluminum to reduce scatter and noise, and strike an undeveloped film, which is held tightly to a screen of light-emitting phosphors in a light-tight cassette. The film is then developed chemically and an image appears on the film. Now replacing film-screen radiography is digital radiography (DR), in which X-rays strike a plate of sensors that converts the signals generated into digital information and an image displayed on a computer screen. Plain radiography was the only imaging modality available during the first 50 years of radiology. Due to its availability, speed, and lower costs compared to other modalities, radiography is often the first-line test of choice in radiologic diagnosis.